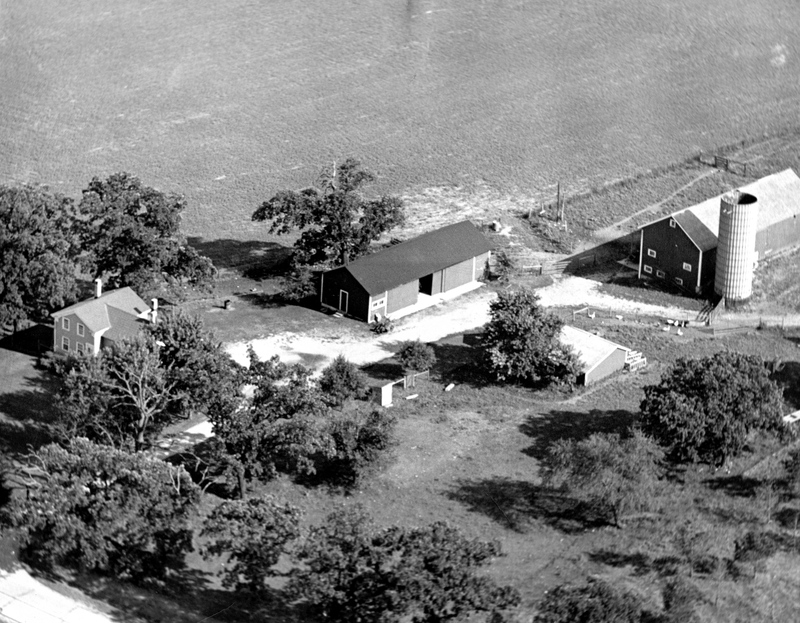 These photos that were most likely taken by my Uncle Don show the combination of both Hogback Farm and, in the right rear, Windy Hill Farm. The overview might have been taken in 1936 judging by the shocked corn stacks in the left side field. 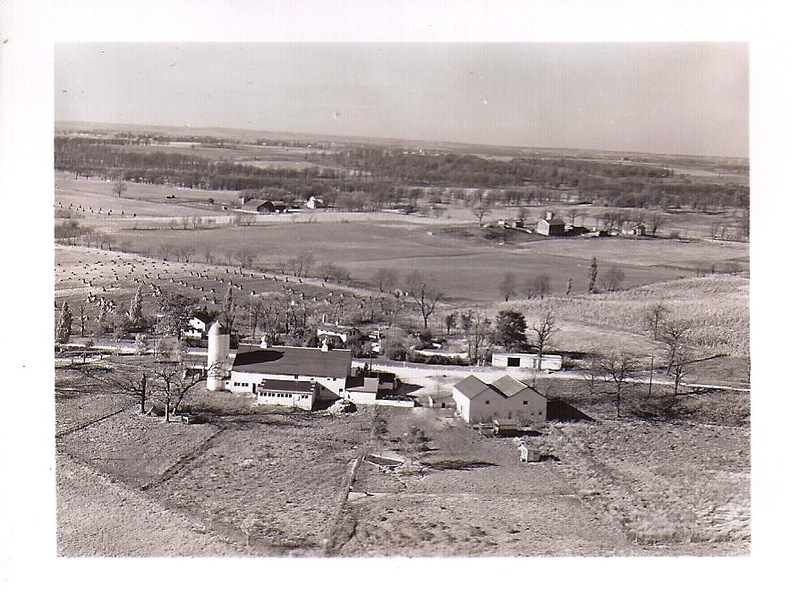 This is an overhead shot estimated to be taken around 1946 when Mom bought Dad a job being a farmer. There was not much opportunity for WWII Conscientious Objectors. They started building the family house at the gravel pit a quarter mile to the right. It was a wonderful way to grow up roaming around all this “100 Acre Wood”.